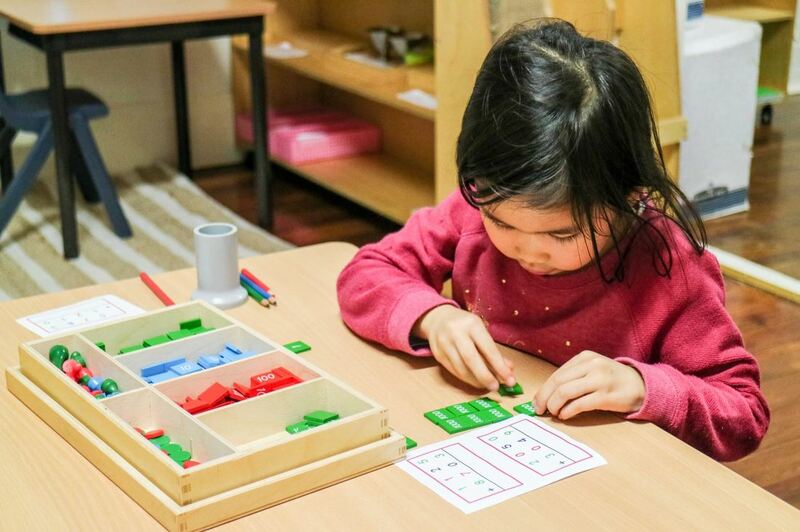 The Montessori method of teaching will not only prepare your child for school, but for life as well. 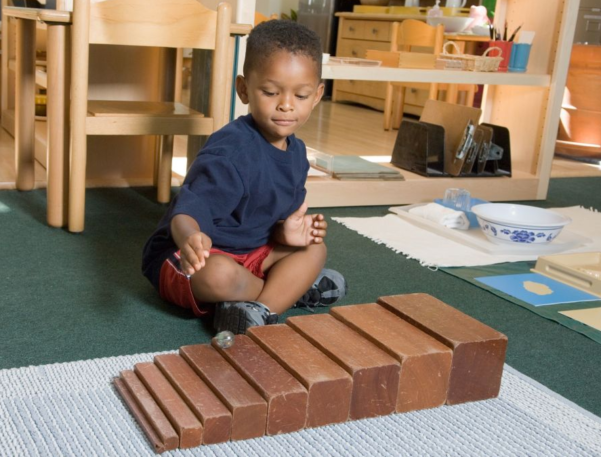 Montessori is a method of education that encourages self-directed activity, interactive learning, and collaborative play. Montessori classrooms are meticulously designed to promote creativity and to help children discover their innate interests. Certified teachers plan age-appropriate activities to guide children and develop a love for learning within them. Children work individually as well as in groups to learn critical skills, preparing them for their future and giving them a competitive advantage over their peers. This area refines everyday gestures, activities and behaviors which the child sees the adults around him perform. Exercises focus learning on caring for himself and the environment, social behaviors and movement. This area develops concentration, co-ordination, social skills, and independence.